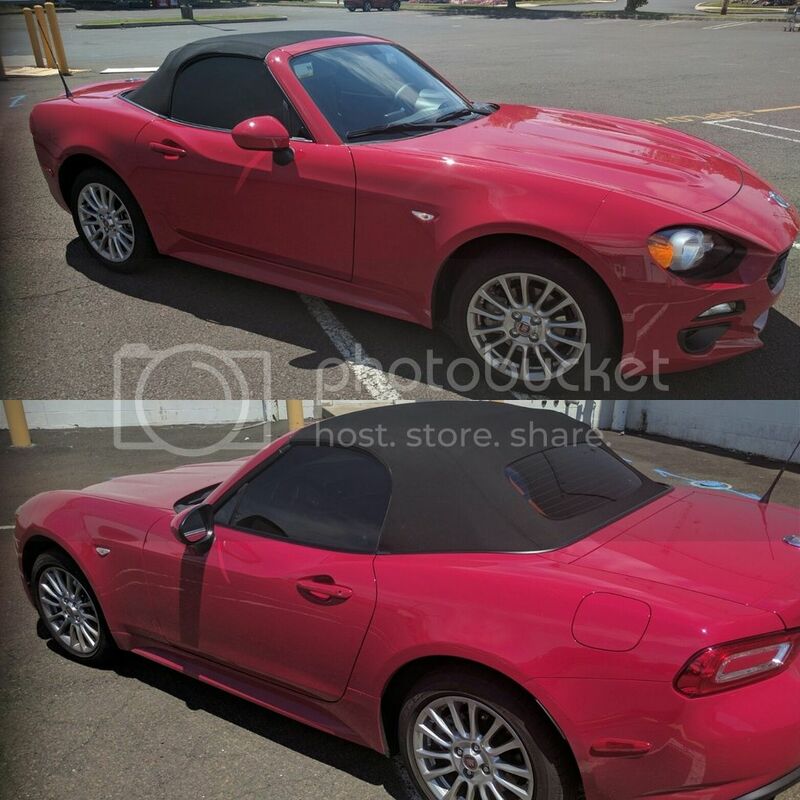 Fiat 124 Spider Forum > 2017+ FIAT 124 Spider Ownership Lounge > What Did You Do To Your 2017+ FIAT 124 Spider Today? > What did you do to your Fiat 124 Spider today? What did you do to your Fiat 124 Spider today? Share what you did today with the Fiat 124 Spider community! I went for an early morning drive with the top down. I really enjoy driving my Spider. This picture was taken a few days ago after I added H&R springs, Eibach anti-sway bars and Evo Corse wheels. 124SpiderAdmin, Bulldog66, notlostnow and 11 others like this. She sure looks beautiful, do you have a name for her? Also, any more pictures from this shoot? Alan and Butterpants like this. Drove it to work with top down. Waiting to deal with the depression of not having it for 2 days while I get vinyl applied. 124SpiderAdmin, Alan and Butterpants like this. Right now I am in a hotel in downtown Cincinnati and missing my Spider. Dropped my Classica off to get some cosmetic surgery. 124SpiderAdmin and Butterpants like this. My Spidey is hanging out in my garage under his cover since its raining all week. 124SpiderAdmin and pp40 like this. Yesterday, my husband helped me (or do I have that backwards?) place a vinyl Black Widow Spider on my hood. 124SpiderAdmin, JFernald, GuidoVeloce and 4 others like this. 244 Attachment(s) Go to first new post Possible loss in power?